Solar panels are gaining more and more popularity. No matter where you go these days, it’s common to see these large rectangular additions on people’s roofs and properties. But why? What’s the benefit? At Unique Home Building, we believe in keeping homeowners informed about the latest remodeling trends, green upgrades and modernizations. Solar panels happen to be one of the most popular upgrades being asked for. You can run your home on far more efficient and cost effective energy by installing and using solar panels. Not only are these an easy choice for you and your home, but they are also sustainable for the health of the environment. Solar energy is an excellent alternative for fossil fuels like coal and petroleum because solar energy is practically emission free while generating electricity. Get money back. 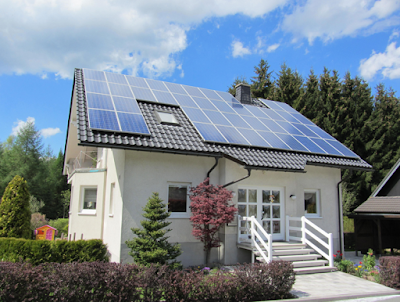 Most states offer tax deductions and other incentives for switching to solar power. Solar power can generate electricity no matter how remote the area as long as the sun shines there, leavings solar power accessible to just about everyone. Once they are installed and setup there are practically zero recurring costs. If needs increase solar panels can be added with ease and with no major revamp. Solar energy is not only sustainable, it is renewable and making it a wise investment for both the energy efficiency of your home, your budget and the environment. For more information about upgrades, home building and remodeling, call the contractors at Unique Home Building today!